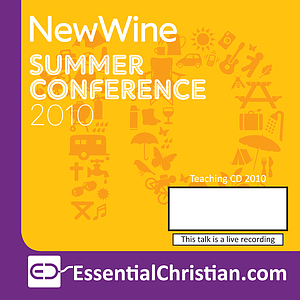 Perseverance: the key to growth is a Steve McGanity talk recorded at New Wine - 2010 on Church Growth available as CD format. We all hit moments when we want to give up in our walk with Jesus or in our ministries, either because things aren't going as we expected or because it just seems too hard to continue. What can we learn about the need to persevere in the face of difficulties and obstacles? How can we order our lives so that we can be in it for the long haul? Be the first to review Perseverance: the key to growth a talk by Steve McGanity! Got a question? No problem! Just click here to ask us about Perseverance: the key to growth a talk by Steve McGanity.